The crew of the International Space Station retrieve a probe containing samples from the Martian soil and discover an ancient form of life. 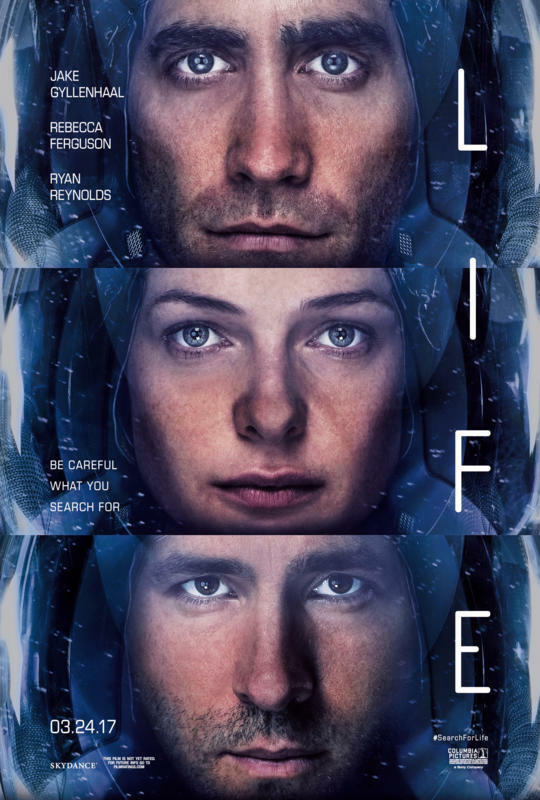 Life, for all its impressive visuals and strong cast, is a very generic sci-fi horror thriller. It�s of the �ignorant scientists foolishly unleash something that they don�t understand� school and takes its cues most obviously from Alien, but also the �disaster movie in space� formula of Gravity and even a hint of Predator in its handling of the hostile alien life form. The cast are solid � although they are always playing second fiddle to the special effects � and it�s all efficiently engineered. The main problem lies with the fact that it pales in comparison to its main influence; it is nowhere near as atmospheric as Ridley Scott�s landmark film and a kind of floaty, translucent flatworm with wings is nowhere near as threatening as H. R. Giger�s creation. Life is nicely done and has enough thrills and tension to entertain, but anyone with more than a passing familiarity with the genre will experience a little too much in the way of deja vu.